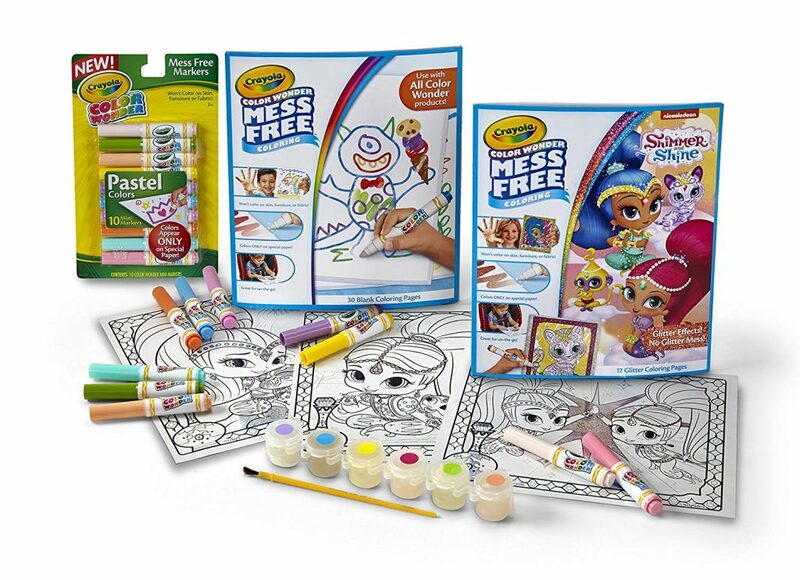 Crayola Color Wonder Shimmer & Shine Coloring Book Just $6.37! Head over to Amazon and pay just $6.37 for the Crayola Color Wonder Shimmer & Shine Coloring Book! This book has 12 mess-free glitter pages of Shimmer & Shine fun! Color Wonder Paints work only on special paper. Includes 6 Color Wonder Paints, 10 Color Wonder Markers, and 30 Color Wonder Blank Sheets.